JOHANNESBURG, South Africa, September 19, 2016 (ENS) – Illegal trade in endangered species, including internet commerce, is enormous – by any estimate. Far-reaching decisions on managing the world’s wildlife are about to be made here in Johannesburg, where 182 countries plus the European Union will gather Saturday at the Sandton Convention Centre for 12 days of intense negotiations. Johannesburg will host the triennial conference of countries that are Parties to the world’s most important wildlife treaty – the Convention on International Trade in Endangered Species of Fauna and Flora, usually called CITES (pronounced sigh-tees). The 17th Conference of the Parties to CITES, CoP17, is the first hosted by an African country since 2000. About 2,500 participants and 250 accredited media will attend. Elephants, lions, tigers and rhinos, and in the oceans sharks and rays, are well-known endangered wildlife species, and conservation measures for them all will be considered by CITES delegates. But, CITES is not just about well-known animals. The CITES treaty makes rules for cross-border trade in over 35,000 wild species of plants and animals. CoP17 delegates will accept or reject 62 species specific proposals submitted by 64 countries. Dr. Teresa Telecky, director, Wildlife Department, Humane Society International, is positive about many of the CoP17 species proposals. “I have been doing this for 26 years and this is a meeting with a great many uplisting proposals,” she explained, describing “uplisting” proposals that make trade in endangered species more difficult. Dr. Telecky is pleased that numerous proposals affect “species that are unfamiliar to many,” such as pangolins, nautilus, pygmy chameleons, geckos, turtles, and 15 species of rosewood. Three proposals concerning the African elephant, Loxodonta africana, are already generating hot debate, as an existing global embargo on ivory sales is due to end in 2017. The first two proposals involve Namibia and Zimbabwe. Led by Rowan Martin, Zimbabwe’s representative to CITES, these countries want CoP17 delegates to lift CITES trade controls on African elephant ivory. Numerous countries oppose this approach. Both the CITES Secretariat and the nonprofit wildlife monitoring network TRAFFIC and have recommended that the Parties reject all three proposals. The third African elephant proposal is brought by: Benin, Burkina Faso, Central African Republic, Chad, Ethiopia, Kenya, Liberia, Mali, Niger, Nigeria, Senegal, Sri Lanka and Uganda. 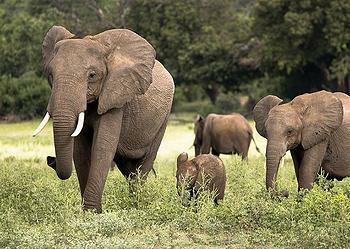 This proposal bans all African elephant trade. However, CITES procedures give Parties the ability to “opt out” of the changes proposed. While many countries oppose opening the elephant ivory trade, the European Union is still on the fence, a position that is causing alarm in the 29 African countries of the African Elephant Coalition. “The situation is alarming in most of our countries,” says Azizou El Hadj Issa, former minister of agriculture in Benin and president of the Council of Elders of the African Elephant Coalition. Despite legal protections, pangolins (say pang-guh-linz) are the most illegally traded mammals in the world. Native to Asia and Africa, these mammals hunt at night for ants and roll up into a ball when threatened. Gaining popular recognition as the basis for the Pokémon Sandslash, all eight species of pangolins are threatened with extinction. The four Asian species are listed as Critically Endangered or Endangered by the International Union for Conservation of Nature, IUCN, on its Red List of Threatened Species. Pangolins are vanishing due illegal trade and the destruction of their habitat. People illegally hunt pangolins for their meat, their scales, used in traditional medicine, and their skins which become luxury fashion accessories. The Endangered Indian pangolin, Manis crassicaudata, for instance, can adapt to modified habitats, but a large proportion of its range has high human population density. The pangolins are experiencing rapid loss and deterioration of habitat, according to the Zoological Society of India, which reported to the IUCN Red List in 2002 that an increase in the agrarian economy, improved irrigation and the use of pesticides are additional threats to this species. All eight pangolin species are listed under Appendix II of CITES, so trade is regulated and monitored and permits are required from exporting countries. To issue a permit, the exporting country must determine that this activity will have no detriment to the wild population. As an added protection for the four Asian species, CITES imposed a zero export quota. Still, scientific and research uses can still be authorized by permit. For the four African species, commercial trade is not prohibited, but permits are still required. Pangolins also are protected in their range states by domestic wildlife laws. The delegates at CoP17 will consider five pangolin proposals, submitted by 19 countries, including the United States. 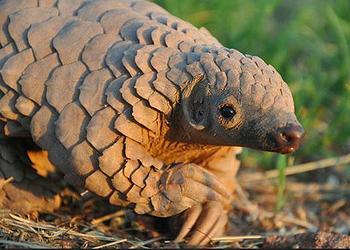 If accepted, the proposals would ban all international trade in pangolins or their parts. Again, the CITES Secretariat and TRAFFIC are in agreement — accept all five proposals. CITES Secretary-General John Scanlon said, “At CITES CoP16 in 2013, countries turned to CITES to assist in protecting precious marine resources from overexploitation through including five new shark species and all manta rays under CITES trade controls. “It is now well recognized that transnational organized crime groups are deeply involved in wildlife crime and are driving the industrial scale illicit trafficking that we are confronting,” says Secretary-General Scanlon. This alliance was formally established on November 23, 2010 in St. Petersburg, Russia during the International Tiger Forum when the signatures of all partners were included on a Letter of Understanding.